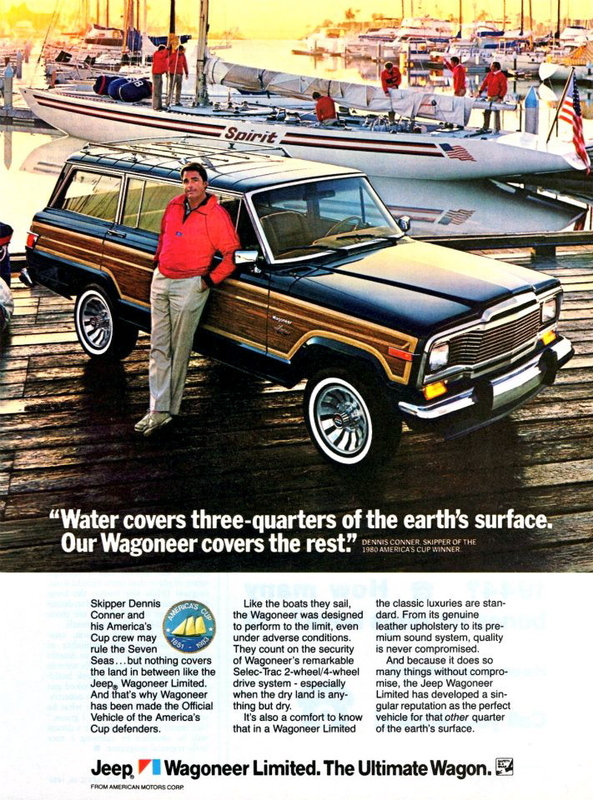 I found this vintage Jeep Grand Wagoneer ad on Pinterest. I have a soft spot for 80s-era, sun-glinting-off-the-hood car ads. The Grand Wagoneer was America’s only luxury SUV until Range Rover hit the North American market in 1987. Here’s a nice video of the history of Land Rover from its post-war inception all the way through the Discovery and Freelander models. It includes footage from vehicle’s famous expedition history as well: the First Overland, London to Singapore Expedition from the mid-1950s; the British Trans-Americas Expedition from the early-1970s, the Great Divide Expedition across the Rocky Mountains in 1989, as well as clips from various Camel Trophies. If you’re in the mood for a smorgasbord of vintage, off-road action, check out this 70s-era documentary called Dirt. It covers just about everything from swam buggies to desert racing, and features a RV-ing grampa for a narrator. While up in the Pacific Northwest the other day looking at boats, I took the Black Ball Ferry Line’s classic, 1950’s-era ship, the Coho, from Port Angeles to Victoria, British Columbia. If you’re in the area and need to get yourself and your car over to Vancouver Island, I highly recommend stepping aboard. As long as I’m on the subject of Pinzgauers, here’s an early, factory promotional film touting the benefits of the 710 (4×4) and 712 (6×6) models to the tune of a swinging soundtrack. There’s something so great about vintage, narrated travel films. To make them easier to find on WCXC, I’ve added a new category called “Vintage Video.” It includes all of the vintage overlanding, off-road, and travel videos on the site. To find it, scroll down to the bottom of any page and look for MEDIA > Videos > Vintage or click on “Vintage” in the Category links at the bottom of any Vintage Video post.